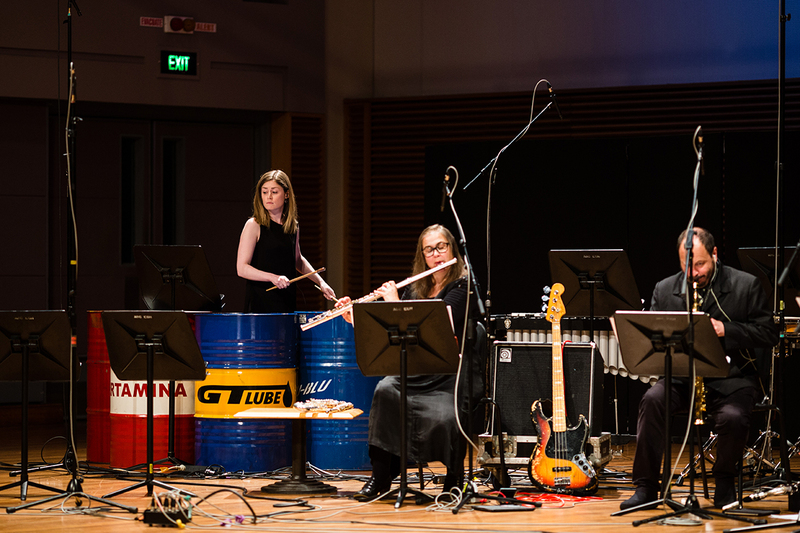 Featuring commissioned works from seven Australian female composers, Decibel’s warm, witty and incisively political new music tribute to former Prime Minister Julia Gillard will play at Monash University on 20 July and Brisbane’s Metro Arts on 13 and 14 July. 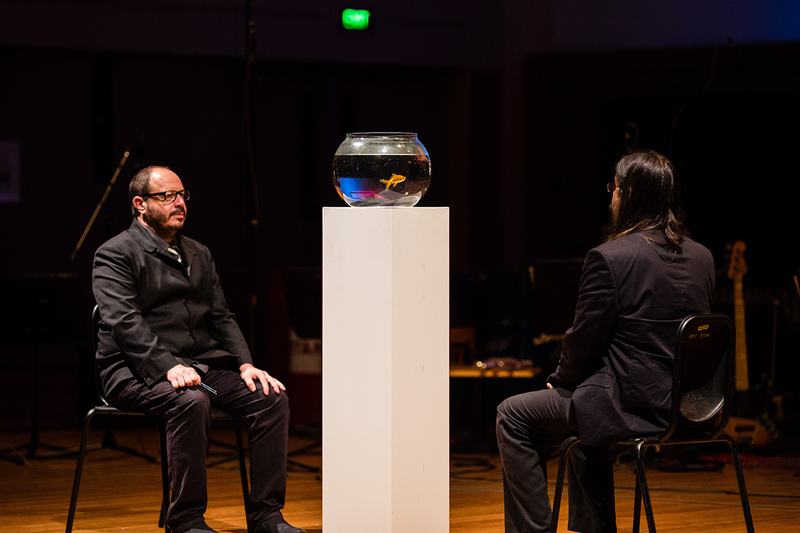 The concert premiered in Sydney, 8 November, 2014 and was repeated in Perth on 20 April, 2015. After Julia’s composers — ranging across sound art, experimental, contemporay classical and theatrical scoring — are Gail Priest, Thembi Soddell, Cathy Milliken, Michaela Davies, Kate Moore, Andrée Greenwell (with writer Hilary Bell) and Cat Hope, Decibel’s Artistic Director and commissioner and organiser of the event. Gillard was present for the premiere with her parents, and although admitting to limited experience of contemporary classical music, clearly enjoyed the empathy and sense of occasion, although hearing herself and the vicious riffing of her opponents made musical might well have been disturbing, as it was for others of us in the audience. Although Gillard was often embattled in her prime ministership, often the target of crude sexism, she pushed through critical policy reform in education (Gonski) and established the NBN and NDIS. It’s ironic that the Coalition, originally so hostile to these, now ‘own’ them, if without vision. Gillard’s legacy lives on. There was promise too for the arts in the form of the Creative Australia National Cultural Policy of 2013 and a sizeable budget increase, undone by the Abbott Government. Gillard’s passionate, eloquent attack on Tony Abbot’s misogyny made many women mindful that gender inequalities are still deeply rooted and that feminism still has much to do (it also coincided with an evident resurgence of feminism). 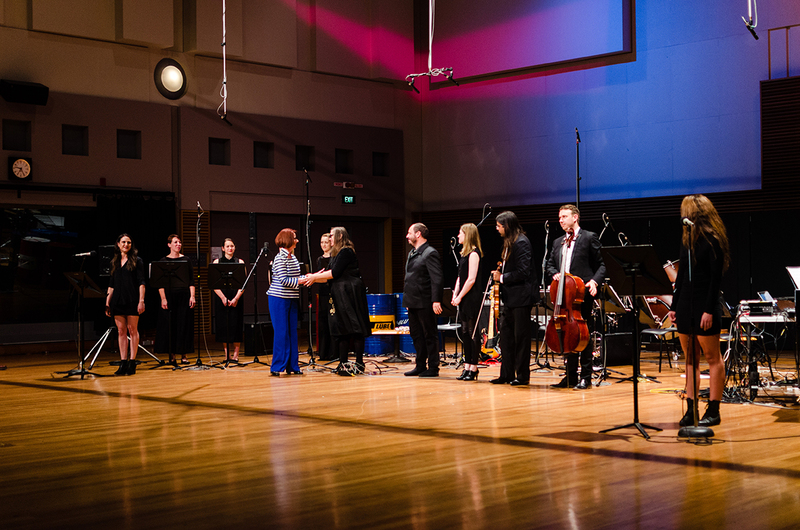 With respect to these concerns, Cat Hope, Decibel’s Artistic Director, described her motivation for commissioning the works and staging the concert in “After Julia: Music programming as cultural reflection?” on the ABC Classic FM website. After Julia is a most unusual cultural event — a heartfelt artistic tribute to a significant Australian politician, who happened to be a woman. Read Zsuzsi Soboslay’s review of the first performance of After Julia here.